In a hard-fought six-game series, the Golden State Warriors took down the Cleveland Cavaliers. 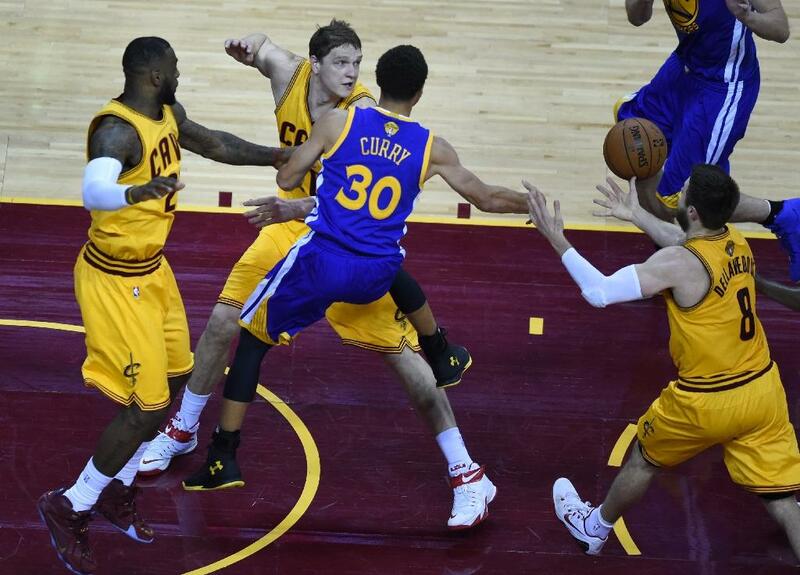 For the 1st time ever the 1st two games of the NBA Finals went into overtime. For the 1st time since the very first Finals in 1947, as the Basketball Association of America, a rookie NBA head coach wins it all (though that was going to be the case no matter which team won). 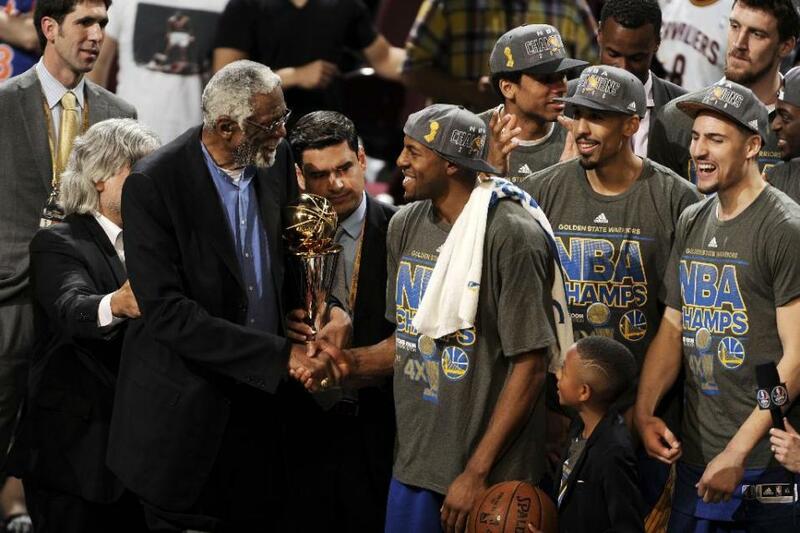 For the 1st time since 1975 the Warriors can call themselves the NBA Champions. For the 1st time since 1991 a team won the Finals without any players ever having played in a Finals game. For the 1st time since 1999 one of the two Finals teams was not named the Spurs, Lakers or Heat nor had players named Tim Duncan, Kobe Bryant or Dwyane Wade. For the 1st time since 2000 a player, Steph Curry, won his 1st NBA MVP and his 1st NBA Finals in the same year. Curry is the 1st player to ever face and defeat all four members of the All-NBA First team, one in each of the match-ups through the Finals (Anthony Davis, Marc Gasol, James Harden, LeBron James). Andre Iguodala became the 1st NBA Finals MVP who did not start every game in the series, being inserted as a starter at Game Four. He averaged 16.3 points, 4 assists, 5.8 rebounds and held James to 38% shooting when guarding him. Some of the games were not the greatest to watch at times but there was spectacle to be had, such as the Cavs being able to initially contain the league MVP Steph Curry or watching LeBron James’ monster output (where he led both teams in total points, rebounds and assists averaging 35.8 points, 13.3 rebounds, 8.8 assists). There were nights of individual great performances from many players, too many to list. Suffice it to say after Game 3 it looked to be anybody’s series. However, in the end, the talent and depth of the Dubs was just too much for the Cavs to overcome, especially with their role players, trying to fill in for injured Kevin Love and Kyrie Irving, running sometimes hot but mostly cold throughout the six games. A very well fought series and well deserved championship for the Warriors. Congratulations! Congrats to Daymond Green, Steph Curry and the whole team of Golden State Warriors for their win at NBA Finals against the Cleveland Cavaliers. Warriors are the 2015 NBA Champions.